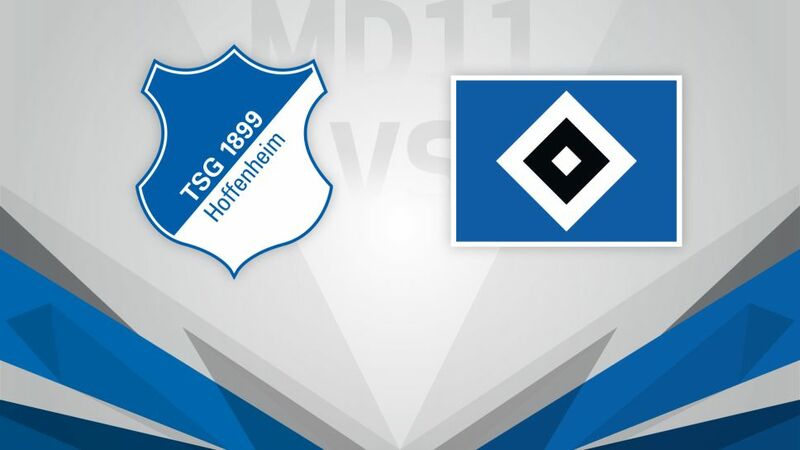 With TSG 1899 Hoffenheim yet to lose in the Bundesliga this season and Hamburger SV yet to win, the teams’ form and fortunes could barely be further apart going into their meeting at the WIRSOL Rhein-Neckar Arena on Sunday 19 November (kick-off 15:30 CET/14:30 GMT). Have you refreshed you Official Fantasy Bundesliga squad over the international break? Click here to tweak your team! Julian Nagelsmann’s Hoffenheim have been causing teams all kinds of problems with their fluid 3-5-2 formation, and they bounced into the international break in third having held champions FC Bayern München to a 1-1 draw last time out. Kerem Demirbay scored a stunning goal past Manuel Neuer at the Allianz Arena, but the attacking burden has been shared, with no fewer than eight players finding the target so far for the Sinsheim club. For more on Hoffenheim-Hamburg, head to the Match Centre! For Hamburg coach Markus Gisdol, this fixture marks a return to the club he managed for two years between 2013 and 2015. The Red Shorts’ last victory away to Hoffenheim was in October 2015, when Pierre-Michel Lasogga fired them to a 1-0 triumph - a defeat that ultimately cost Gisdol his previous job. Things have not been going much better at HSV this season, with the Pierre-Emerick Aubameyang-inspired 5-2 loss to Borussia Dortmund their eighth from ten games, leaving Hamburg rooted to the foot of the table.